A sacred smudge ceremony took place Saturday at the site of a cemetery by the old Regina Indian Industrial School. A sacred smudge ceremony took place Saturday at the site of a cemetery near the old Regina Indian Industrial School. 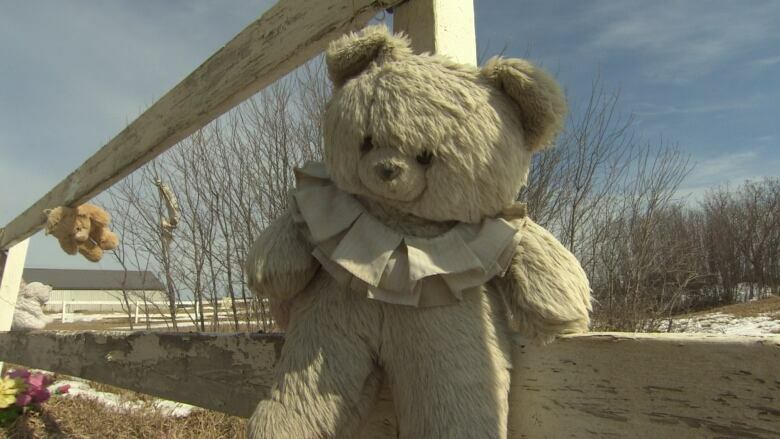 It's believed there may be as many as 40 children in unmarked graves at the site on the Regina's west edge. It has become the focus of attention as people try to learn more about what happened to children at the school. Members of Project of Heart, a group that has been doing research and urging action to respect the site, have been creating commemorative tiles for each of the children based on what information they have been able to gather. "The point is to learn about them, to talk about them, to give their spirit some sort of closure," said Jenna Tickell, who has been supporting Project Heart. "We come together and an elder, or an Indian Residential School survivor, smudges the tiles to release their spirits so that they can join their ancestors." Project Heart has also created an online petition urging officials to get more involved in the preservation of the site, which is currently in private hands. "We need awareness of this," Tickell said. "So they're not some people people buried here with a rickety old fence that's getting worn away." 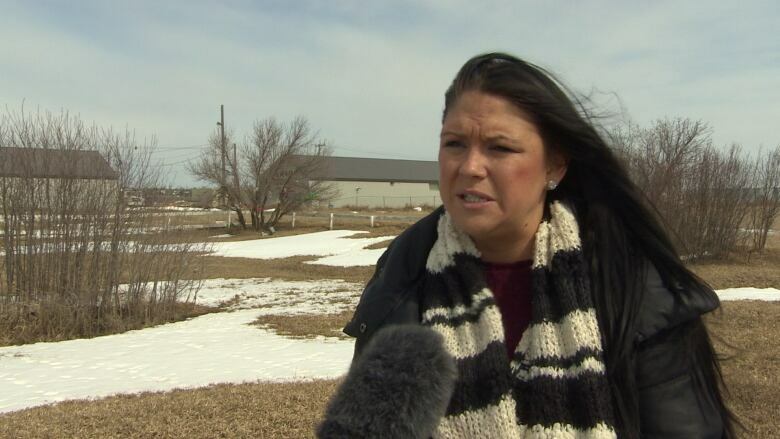 The grave area, on a dusty spot off Pinkie Road west of Regina, has not been fully researched but is believed to be where dozens of unknown First Nations and Métis children are buried. In 2012, an engineering firm surveyed the 680-square-metre area and found there were a minimum of 22 grave sites and possibly 40. 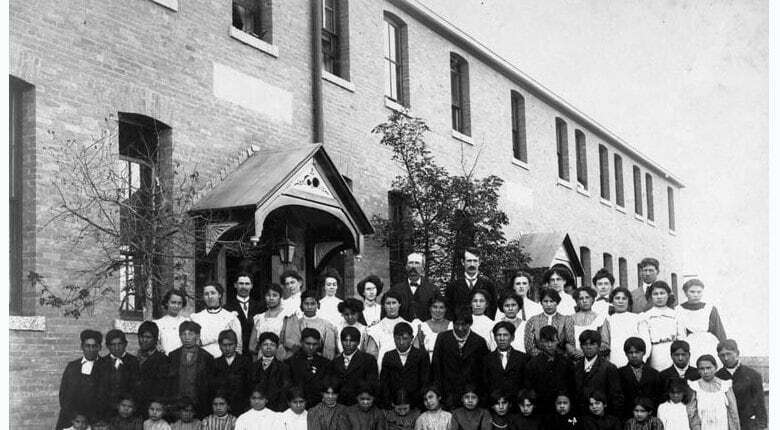 The Indian Industrial School was created in an era when government policy was to integrate aboriginal people into mainstream society. It was operated as a school from 1891 to 1910. In 1911, after the school closed, the building was used as the city jail. In 1919, it became the boys detention house. The school was destroyed by fire in 1948. The property has been in private hands since the 1980s. Project Heart noted that the recent Truth and Reconciliation report included a recommendation that governments and private land owners should ensure that old grave sites associated with the residential school system were researched, commemorated and protected. One of the people at the ceremony Saturday said learning more about what took place at the Regina Indian School (as it was also known) was very moving. "It really hits home for me because my parents both attended Duck Lake Residential School," said Lee Prosper, who drummed and sang during the smudge. "To think about what my parents had gone through [and] to see this gravesite so close to home, it's really disturbing." David Owens, who created one of the commemorative tiles, said it is important to learn about and share the history of the school. "One of the main reasons I did this was because of my child and wanting to educate him about what I learned here," Owens said. "We want to protect our children and these parents weren't given a chance to protect their children and we need to make sure everyone knows about it."